Looking at this list we have often fallen into the trap of being too busy and not posting enough. Updating our blog regularly is now a priority for 2009. Reading Blog Blazers certainly emphasised this for me. Blogging is all about community and building relationships, these things take time and patience even your writing style. Damien has written a great piece this week about how he approaches his writing. As for analytics and building traffic to your site, nothing beats great content, well written and engaging. 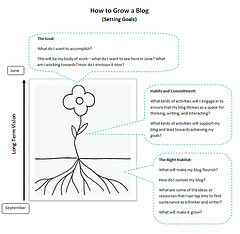 Overall Blogging Blazers is a great resource if you are starting out or just want to improve your blog. As the Blog Awards grow ever closer I am sure many nominees would give the same advice. Happy blogging people.